I vividly remember four events while working at the power plant where I was at the brink of death. I’m sure there were many other times, but these four have been etched in my memory almost 30 years later. Of those four memorable events, Curtis Love was by my side (so to speak) to share the wonder of two of those moments. This is a story about one of those times when you are too busy at the time to realize how close you came to catching that ride to the great power plant in the sky, until the middle of that night when you wake up in a cold sweat trying to catch your breath. As I mentioned in an earlier post, safety is the number one priority at the power plant. But what is safe and what isn’t is relative. If you are the person that has to walk out onto a plank hanging out over the top ledge on the boiler in order to replace a section of boiler tube before the boiler has cooled down below 160 degrees, you might not think it is safe to do that with only an extra long lanyard tied to your waist and a sheer drop of 200 feet to the bottom ash hopper below (which I incidentally didn’t have to do as an electrician, but had to hear about after some other brave he-man had the privilege), you might not think that this is safe. But the Equipment Support Supervisor who has spent too many years as an engineer behind his desk doesn’t see anything wrong with this as long as you don’t fall. So, he tells you to do it, just don’t fall. Safety is also relative to the date when something occurs. In 1994 OSHA implemented new rules for confined spaces. A confined space is any place that’s hard to enter and exit, or a place where you might be trapped in an enclosure because of converging walls. So, before 1994, there were no safety rules specific to confined spaces. with a straight through Sandblast Nozzle…. Which means, the person sandblasting has no way of turning off the sand or the air on their own. If you wanted to turn off the sand, you had to bang the nozzle against the side of the tank and hope that the person outside monitoring the sandblaster was able to hear you above the roar of the Sandblaster and the Industrial Vacuum. 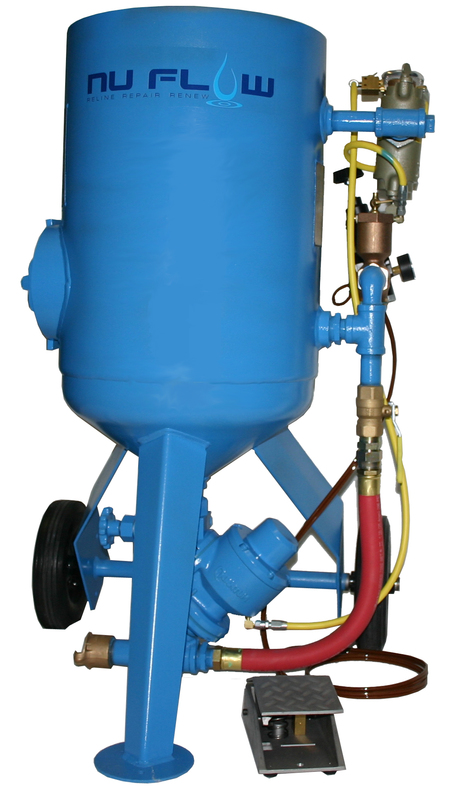 Sandblasting machine. Would run about 15 minutes before it would run out of sand. You also had a drop light that left you all tangled in wires and hoses that blew air on your face so that you could breathe and a 4 inch diameter vacuum hose that sucked the blasted sand and rust away, while the sandblaster blasts away the rust from all things metal less than a foot away from your face, because the air is so full of dust, that’s as far as you can see while holding the drop light with the other hand next to the sandblast hose. The air that blows through the sandblaster is hot, so you begin to sweat inside the heavy rain suit that you wear to protect the rest of you from sand that is ricocheting everywhere, but you don’t feel it as long as cool air is blowing on your face. 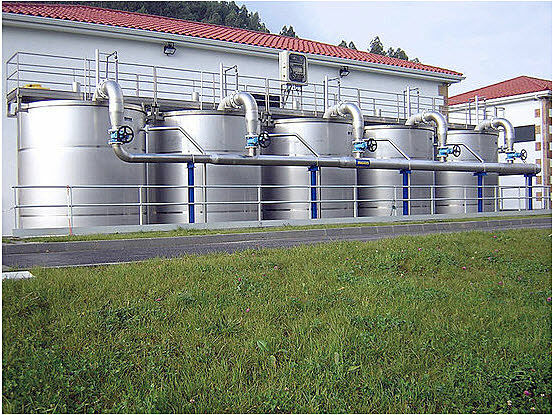 The week I spent lying flat trying to prop up my head while sandblasting the bottom section of both sand filter tanks gave me time to think about a lot of things…. which leads us to Curtis Love…. Not that it was Curtis Love that I was thinking about, but that he enters the story some time in the middle of this week. When I least expected it. Curtis Love was a janitor at the plant when I first joined the Sanitation Engineering Team after my four summers of training as a “summer help”. Curtis was like my mother in some ways (and in other ways not – obviously). He was always looking for something to worry about. Curtis said that he hadn’t heard that, but that as soon as it was 9:00 am he would call the bank to find out what he needed to do so that he wouldn’t lose his house. About that time I gave a report on the number of fiddleback spiders I had killed in the main switchgear the previous week. It seemed like no one was listening to my statistics as Doris Voss was still pondering the P&H Crane hand signals, and Curtis was shuffling his feet in worry and Ronnie Banks was staring off into space, as if he was stunned that Monday was already here again, and Jim Kanelakos was snickering under his breath. When the meeting was over and we were standing up, Jim told Curtis, “Hey Curtis. I was just kidding. The bank really isn’t foreclosing on their mortgages.” Curtis replied, “I don’t know. I better call them to check anyway.” Jim replied, “Curtis, I just made that up! I was playing a joke on you.” Curtis said, “I better check anyway, because it still is possible that they could be foreclosing on their mortgages”. So Jim just gave up trying to explain. I know you wouldn’t be able to tell by looking at me now, but there were only two of us at the plant that were small enough to crawl through the portal into the Sand Filter tanks (Ed Shiever and myself), because not only was it very tight, but the entry was so close to the edge of the building that you had to enter the hole by curving your body around the corner and into the tank. I have tried to paint of picture of the predicament a person is in when they are laying in this small space about 20 feet from the small portal that you have to crawl through. with their airline for the sandblast helmet, the sandblast hose, the drop light cord and the 4 inch vacuum hose all wound around the support rods that were not quite 2 feet apart in all directions. Because this is where I was when without my giving the signal (by banging the sandblast nozzle on the tank three times), the sand stopped flowing from the nozzle and only air was hissing loudly. This meant one of two things. The sandblast machine had just run out of sand, or someone was shutting the sandblaster off because it was time for lunch. I figured it was time for lunch, because I didn’t think it had been more than 10 minutes since the sand had been refilled and amid the roaring blasts and the howling sucking vacuum hose, I thought I had caught the sound of a rumbling stomach from time to time. 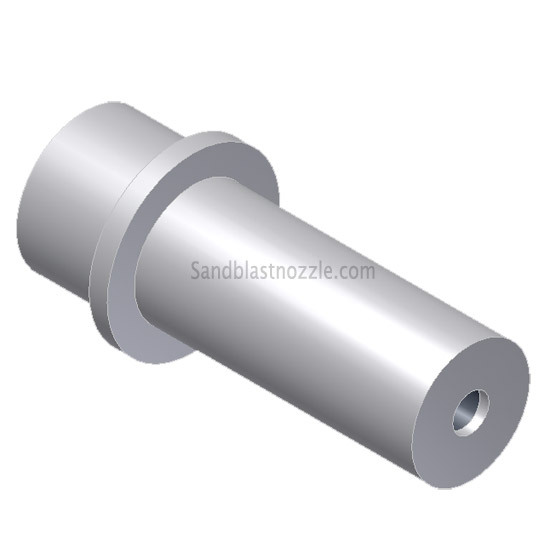 The next thing that should happen after the sand has blown out of the sandblast hose, is that the air to the sandblaster should stop blowing. And it did…. but what wasn’t supposed to happen, that did, was that the air blowing through my sandblast hood allowing me to breathe in this sea of rusty dust shut off at the same time! While still pondering what was happening, I suddenly realized that without the air supply to my hood, not only could I not breathe at all, but my sweat-filled rain suit that I was wearing suddenly became unbearably hot and dust began pouring into my hood now that the positive pressure was gone. I understood from these various signs of discomfort that I needed to head back to the exit as quickly as possible, as I was forced by the thick dust to hold my breath. I pulled my hood off of my head and everything went black. I had moved more than a foot away from the drop light. I knew that the exit was in the direction of my feet on the far side of the tank, so I swung around a row of support rods and dragged myself along by the rods as quickly as I could unable to see or take a breath. Working my way around the cable, the air hose, the sandblast hose and the vacuum hose as I pulled myself along trying to make out where the exit could be. Luckily, I had figured correctly and I found myself at the exit where in one motion I pulled myself out to fresh air and the blinding light of the day gasping for air. Furious that someone had turned off my air, I ran out of the sand filter building to the sandblast machine where I found Curtis Love of all people. 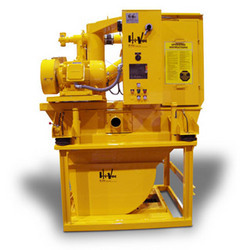 Up to this point, Curtis had never had the privilege to operate the sandblaster and was not aware of the proper sequence to shutting down the machine…. without shutting off the air to my hood. 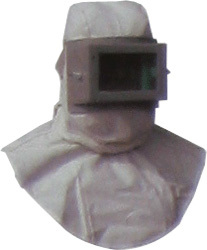 Incidentally, both the sandblaster and the air hose to the sandblast hood were being fed from the same regular plant air supply (which OSHA might have frowned upon back as far as 1983, and which caused you to blow black oily stuff out of your nose for a few days). Needless to say, about the time that I came bolting out of the sand filter building Curtis had figured out that he had shut off the wrong valve. He was apologizing profusely in one long drawn out sentence….. “Kevin, I’m sorry, I’m really sorry, I’m sorry, I’m really sorry….” I stopped myself short as my hands were flying toward the area where his neck would have been, if Curtis had had a neck. I looked over toward the crew cab parked nearby. It was full of hungry labor crew “he-men in training” all smiling and chuckling. At that moment I knew that both Curtis and I had been on the receiving end of what could be construed as a “power plant joke” (refer to the post about Gene Day to learn more about those: “Power Plant Humor and Joking with Gene Day“). So, I spent the next 30 seconds as Curtis and I piled into the crew cab telling Curtis that is was all right, he didn’t have to feel bad about it. Evidently, someone had told Curtis how to shutdown the sandblaster, but failed to tell him exactly which valve to turn off when turning off the air to the sandblaster. Needless to say. Lunch tasted extra good that day. Possibly the rusty dust added just the right amount of iron to my sandwich. You also had a drop light that left you all tangled in wires and hoses that blew air on your face so that you could breathe and a vacuum hose that sucked the blasted sand and rust away, while the sandblaster blasts away the rust from all things metal less than a foot away from your face, because the air is so full of dust, that’s as far as you can see while holding the drop light with the other hand next to the sandblast hose. The air that blows through the sandblaster is hot, so you begin to sweat inside the heavy rain suit that you wear to protect the rest of you from sand that is ricocheting everywhere, but you don’t feel it as long as cool air is blowing on your face. I have tried to paint of picture of the predicament a person is in when they are laying in this small space about 20 feet from the small portal that you have to crawl through. 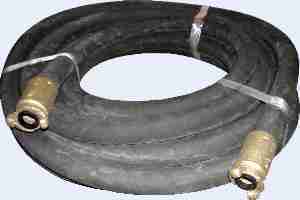 with their airline for the sandblast helmet, the sandblast hose, the drop light cord and the 4 inch vacuum hose all wound around the support rods that were not quite 2 feet apart in all directions. Because this is where I was when without my giving the signal (by banging the sandblast nozzle on the tank three times), the sand stopped flowing from the nozzle and only air was hissing loudly. This meant one of two things. The sandblast machine had just run out of sand, or someone was shutting the sandblaster off because it was time for lunch. I figured it was time for lunch, because I didn’t think it had been more than 10 minutes since the sand had been refilled and amid the roaring blasts and the howling sucking vacuum hose, I thought I had caught the sound of a rumbling stomach from time to time. I understood from these various signs of discomfort that I needed to head back to the exit as quickly as possible, as I was forced by the thick dust to hold my breath. I pulled my hood off of my head and everything went black. I had moved more than a foot away from the drop light. I knew that the exit was in the direction of my feet, so I swung around a row of support rods and dragged myself along by the rods as quickly as I could. Working my way around the cable, the air hose, the sandblast hose and the vacuum hose as I pulled myself along trying to make out where the exit could be. Luckily, I had figured correctly and I found myself at the exit where in one motion I pulled myself out to fresh air and the blinding light of the day gasping for air. Needless to say, about the time that I came bolting out of the sand filter building Curtis had figured out that he had shut off the wrong valve. He was apologizing profusely in one long drawn out sentence….. “Kevin, I’m sorry, I’m really sorry, I’m sorry, I’m really sorry….” I stopped myself short as my hands were flying toward the area where his neck would have been, if Curtis had had a neck. I looked over toward the crew cab parked nearby. It was full of hungry labor crew “he-men in training” all smiling and chuckling. At that moment I knew that both Curtis and I had been on the receiving end of what could be construed as a “power plant joke” (refer to the post about Gene Day to learn more about those: “Power Plant Humor and Joking with Gene Day“). So, I spent the next 30 seconds as Curtis and I piled into the crew cab telling Curtis that is was all right, he didn’t have to feel bad about it. Evidently, someone had told Curtis how to shutdown the sandblaster, but failed to tell him exactly which valve to turn off when turning off the air to the sandblaster. and a drop light that left you all tangled in wires and hoses that blew air on your face so that you could breathe and a vacuum hose that sucked the blasted sand and rust away, while the sandblaster blasts away the rust from all things metal less than a foot away from your face, because the air is so full of dust, that’s as far as you can see while holding the drop light with the other hand next to the sandblast hose. The air that blows through the sandblaster is hot, so you begin to sweat inside the heavy rain suit that you wear to protect the rest of you from sand that is ricocheting everywhere, but you don’t feel it as long as cool air is blowing on your face. Curtis said that he hadn’t heard that, but that as soon as it was 9:00 he would call the bank to find out what he needed to do so that he wouldn’t lose his house. About that time I gave a report on the number of fiddleback spiders I had killed in the main switchgear the previous week. It seemed like no one was listening to my statistics as Doris Voss was still pondering the P&H Crane hand signals, and Curtis was shuffling his feet in worry and Ronnie Banks was staring off into space, as if he was stunned that Monday was already here again, and Jim Kanelakos was snickering under his breath. I understood from these various signs of discomfort that I needed to head back to the exit as quickly as possible, as I was forced by the thick dust to hold my breath. I pulled my hood off of my head and everything went black. I had moved more than a foot away from the drop light. I knew that the exit was in the direction of my feet, so I swung around a row of support rods and dragged myself along by the rods as quickly as I could. Working my way around the cable, the air hose, the sandblast hose and the vacuum hose as I pulled myself along trying to make out where the exit could be. Luckily, I had figured correctly and I found myself at the exit where in one motion I pulled myself out to fresh air and the blinding light of the day. Needless to say, about the time that I came bolting out of the sand filter building Curtis had figured out that he had shut off the wrong valve. He was apologizing profusely in one long drawn out sentence….. “Kevin, I’m sorry, I’m really sorry, I’m sorry, I’m really sorry….” I stopped myself short as my hands were flying toward the area where his neck would have been, if Curtis had had a neck. I looked over toward the crew cab parked nearby. It was full of hungry labor crew “he-men in training” all smiling and chuckling. At that moment I knew that both Curtis and I had been on the receiving end of what could be construed as a “power plant joke” (refer to the post about Gene Day to learn more about those). So, I spent the next 30 seconds as Curtis and I piled into the crew cab telling Curtis that is was all right, he didn’t have to feel bad about it. Evidently, someone had told Curtis how to shutdown the sandblaster, but failed to tell him exactly which valve to turn off when turning off the air to the sandblaster.